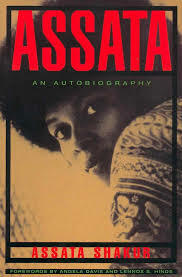 By odd coincidence, I was in the middle of reading the autobiography of Assata Shakur last week when it was announced that she was being added to the FBI’s 10 Most Wanted Terrorists list. HuffPo already has a wonderful story, which should be required reading for everyone, about why the FBI has targeted Assata now, and what this means for all of our civil liberties—spoiler alert, nothing good. Assata’s autobiography should also be required reading. A grandmother and former Black Panther living quietly in Cuba since the 80s is obviously not an active threat to American security. Thus it’s also obvious that we’re witnessing our government scapegoating someone, for political ends, which is disturbing and immoral, regardless of the real history of Assata’s crimes—which I will admit that I don’t know much about, beyond what I read in her book. Usually when things like this happen, I have that vague feeling that “there’s nothing I can do.” In this case, there is something we can all do: Go buy this book. At a time when radicalism in America is heavily repressed, it’s interesting reading. 40 years later, the controversy continues.